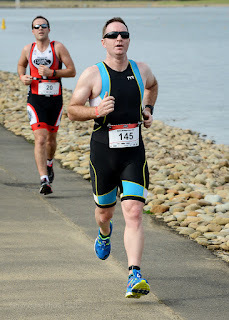 It may not have been the first time, but it was at least the first time I was expecting it, a duathlon that is. 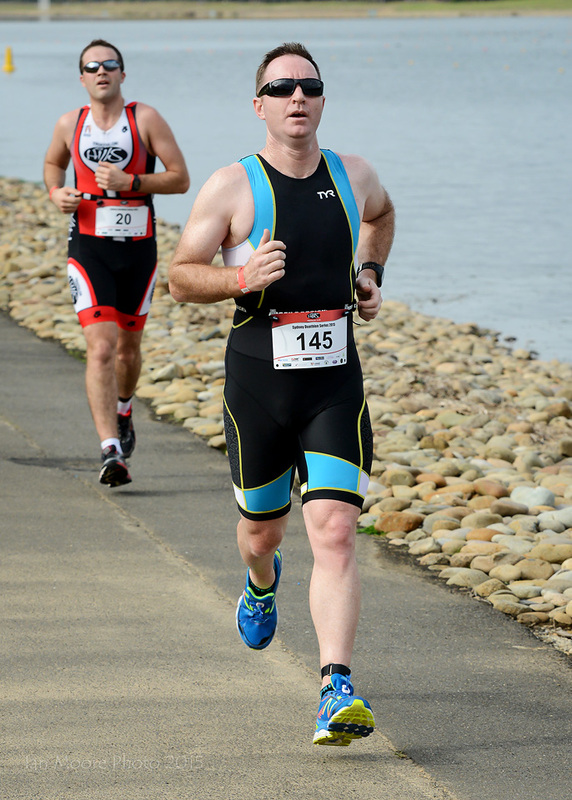 With winter arriving and the triathlon season behind us, my partner and I decided to make the trek an hour and a half west for the first race of the 2015 Sydney Duathlon Series, one of four races held by the Hills Triathlon Club. I had only discovered that I could make the race two weeks earlier but had some adequate base training and thought it would be a good test for me. The tough part would be doing it straight after working a full shift that had started at 3am, but these are the things we do for fun and never the sort of thing I would use as an excuse to either not compete or for a poor performance. The race took place at the Sydney Regatta Centre, the home of the rowing events during the 2000 Sydney Olympics and it provides the perfect course for some high speed racing. 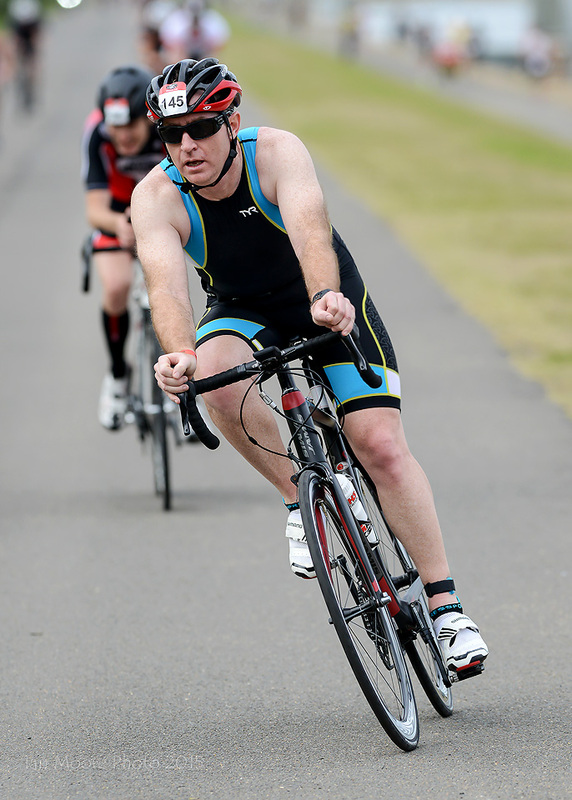 A 5km loop run around the lake would be followed by four laps of the same loop on the bike, with a 2.5km out and back providing the final leg. I set of in the men's 35+ wave, the pace seemed very solid to begin with and I was unsure if it was just me being tired or if this was a pretty slick field, It turned out to be the latter. I was in the rear quarter of our wave about 800m in and looked at my watch only to see we were running well under four-minutes per kilometre. For me, this was simply unsustainable so I eased off a bit. I still ran my fastest recorded kilometre (4:12) to open proceedings but then settled back into a more “normal” pace for me. I completed the run in 22:54 which was as good as I could have expected. The fact that I was only 18th of 23 in my age group and 94th of 151 overall was an indication of the quality of competitors at the event. My transition went well, something I had worked on. I was in and out in 1:01 which was comparatively good (11th in age group and 70th overall). Now it was time for the leg I was most looking forward to, the bike. This would be the first time I would get to race on power. I would be looking to maintain around 95% of my functional threshold power for the 20km. For the first three and three-quarter laps I did this to perfection, then a mini-disaster struck. The build up of fatigue from not enough sleep and working all morning took its toll. I have never been one to cramp but I was about to buck that trend. My right calf went and I was simply unable to go through the pedaling motion with any force. I managed to push a few with my left foot while I tried to stretch it out but it was with minimal success. I lost valuable time but shortly worked out that I could do short bursts out of the saddle to keep some sort of pace. Whilst unstrapping my shoes in the final 200m, my other calf cramped! This was proving to be more of a test than I thought. I dawdled to the dismount line and must have looked quite the novice trying to get off my bike with straight legs, it certainly wasn't a conventional dismount. Overall it still proved to be my best leg, I averaged 32km/hr and completed the 20km in 36:12 (13th in my age group and 59th overall). Given that I am still riding a road bike I was happy with this effort and, relatively, it was my best leg. ﻿﻿I tried to zip in and out of transition as quickly as I could and set off on my final gallop. T2 actually proved to be my best part of the race with my time of 46 seconds being eighth in my category and 46th overall. The cramps seemed ok running and I pushed as much as I could. The final leg took 11:46 which was 16th in my age group and 85th overall. My final time was 1:12:42 which was a little faster than I originally estimated I might do, the bonus being that I feel there is plenty of scope for improvement. This was a very well run event and one that I enjoyed immensely. I think it is particularly good for racing experience against quality opposition. Most triathlons have a wide cross section of athletes in terms of experience whereas this seems to attract a much more seasoned type of competitor. The second race is on the 26th of July and I am already looking forward to having another crack at it.